An easy circuit on the eastern side of Lake Sumner. Tussock flats, beech forest, flat walking. Gabriel Hut, Lake Sumner Forest Park • By Alan Liefting. Jollie Brook Hut • By Byron. The Sisters car park is located under trees just beyond a gate on the Lake Sumner Road. Cross a small bridge and follow a poled route over tussock and down to the swingbridge. The Hurunui River is infested with didymo, and the slimy banks are unattractive. The track crosses river flats to Jollie Brook (45 minutes from the car park). (From here, a trail to the right leads to the Jollie Swingbridge a little further down the Hurunui.) Turn upstream and follow the poled route along the river and into bush and scrubby river flats. From here to Jollie Brook Hut, there are many river crossings. After a further 1.5 hours, pass a turn-off to Cold Stream Hut, which is an hour up the valley to the right. 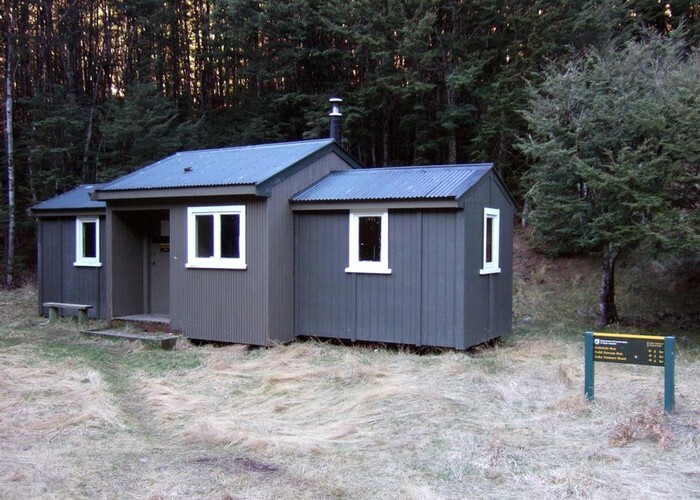 Continue on over dull scrubby flats to the cute hut, located in a large clearing near the edge of the forest. The hut has seven bunks and two small dorm rooms off the main room. 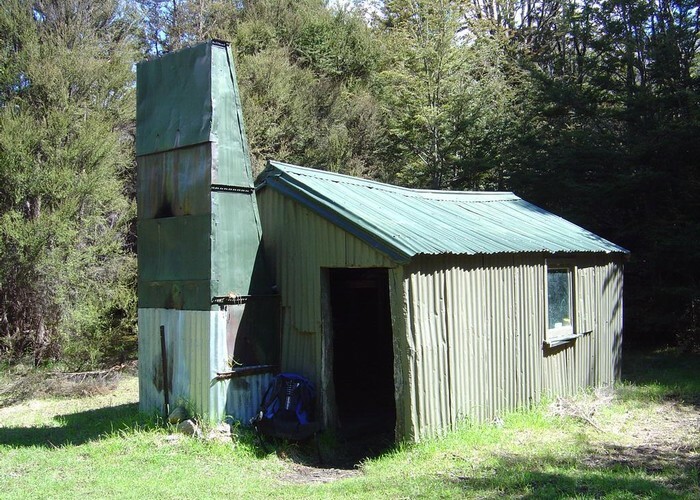 Jollie Brook Hut • Standard Hut (DOC). Capacity: 7. The route out via Gabriel Stream involved no river crossings, so would be safe in high river conditions. The track crosses a swingbridge near the hut and and plunges into dry red beech forest, soon leaving the river to climb over a gentle saddle (45 minutes from the hut). At the saddle, the forest changes immediately to low, broken black beech, and the track follows Gabriel Stream down onto the flats at the foot of lake Sumner (1 hour 20 minutes from Jollie Brook Hut). Gabriel Hut is located in a forest clearing here. The hut is rudimentary but reasonably comfortable, with canvas bunks and humorous graffiti. A signposted side track leads down to the lake, and it's an interesting diversion, crossing easy flats of manuka, marbleleaf, beech and tussock down to the exposed rocky shoreline. The walk to the lake is 30 minutes return. Gabriel Hut • Basic Hut/Bivvy (DOC). Capacity: 4. From the hut, a dreary poled route leads across flats of tussock, corokia, kowhai, and matagouri, all carved by the meandering Hurunui River. The track climbs off the terraces briefly to step over a bend in the river, before droping back down to the bridge and car park. Added 2 February 2003 by MatthewMatthew. 2 revisions, most recently 3 May 2010 by MatthewMatthew. 328 views in the past year (27 per month).